A real estate agent is only successful if the real estate agent has clients. If an agent doesn’t provide services to buyers or sellers or both, the real estate agent is doomed to fail. That’s why at Home Value Leads we put an emphasis on lead generation. 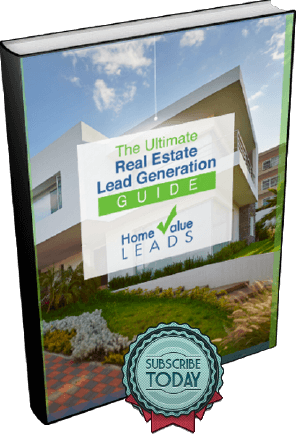 We believe so much in lead generation that one of our top blogs is on 5 ways real estate agents can generate leads. 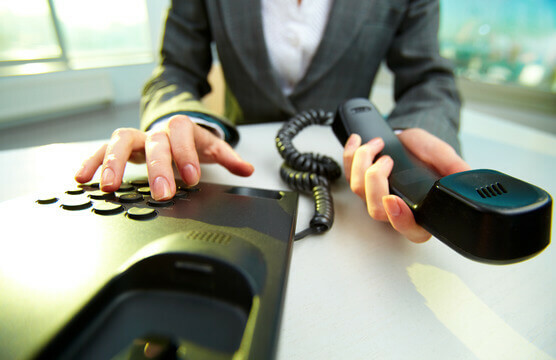 Some of the ways to generate leads is to search for probate leads because individuals in probate are more inclined to sell, working on your referral system, which pretty much means concentrating on word of mouth or social word of mouth marketing, and using Home Value Leads’ fantastic Facebook Ads process to gain leads. We also discuss hiring someone to prospect for you while you’re out there showing homes and providing listing presentations. Still another way for agents to find leads is to get personal with handwritten notes. Handwritten notes add something out of the norm. They can be very useful. Although that’s true it’s a fact that you can’t write and leave behind handwritten notes unless there’s a reason to. That’s where one of the most underrated ways to market yourself comes into play. Door knocking is an excellent strategy that has many benefits, other ways of marketing your real estate agent expertise doesn’t. The most obvious benefit is the chance to speak to a decision maker in person. If nobody answers the door, the second benefit is, the ability to leave behind personal notes. Check out a primer on door knocking. It’s something all real estate agents should employ in their marketing strategies. What is Real Estate Door Knocking? Door knocking is exactly what it says. Instead of trying to contact a person via social media, or through a referral, door knocking is walking in a neighborhood, knocking on doors, and trying to meet home owners. When we door knock, we’re looking to see if we can find an individual who might be interested in selling their residence. If we’re lucky enough to have that individual open the door, we’ve pretty much struck gold. Before any door knocking starts, we must have a strategy in place. That means, we’ve canvassed the neighborhood where we wish to knock on doors, we know how much each house that we knock on a door is worth, and we have an overall knowledge of the neighborhood, the nearby parks, shops, schools, etc. What Are Door Knocking Scripts? If a decision maker answers the door, we might have struck gold, but that gold could slip from our fingers if we’re not prepared. Door knocking scripts prepare us to keep gold in our hands. Good door knocking scripts allow us to establish ourselves as an expert real estate agent, establish an immediate rapport with the individual who answered the door, and helps us start the conversation. Not all door knocking scripts work, which is why in a future blog we’ll discuss the ones that do work and the ones that don’t. In the meantime, know that you must arm yourself with different types of door knocking scripts. You can’t just arm yourself with a door knocking script for decision makers. Most of the time, the person that does answer the door won’t be a decision maker. In those cases, we must have a door knocking script, maybe even two or three, that turns the person who answered the door into a champion of ours. That’s not easy to do. If nobody answers the door, you’re in a different difficult situation. While you have the chance to write a handwritten note and leave it for the home owner, you can’t just write a handwritten note. You must have an idea of what you wish to convey in the note. It helps to have some examples, some notes that you’ve prewritten that can guide you while you write a specific handwritten note. What Makes Door Knocking Scripts Effective? It’s difficult to pinpoint exactly what makes one door knocking script more effective than any other. Door knocking, like most forms of marketing, can approach the level of art. Effectiveness can be measured by the response you receive, but even then, be careful about reading too much into the response. You could arm yourself with the best possible door knocking script imaginable, a door knocking script that you’ve gone over plenty of times and that has been effective in the past. You still might run into a situation where the door knocking script doesn’t work. When these moments happen, don’t become dejected. Try to find out why your ironclad door knocking script didn’t work. Why Don’t Real Estate Agents Employ Door Knocking into Their Marketing Strategies? Sometimes, real estate agents might try door knocking once and then give up on the exercise. They do this because they might have no luck the first time they tried door knocking. The key is to always be sincere when someone answers the door. If you’re nervous, that’s okay. Nervousness can put the person at the door into a state of ease. Also, there are some individuals who will answer the door that will be rude to you no matter the door knocking script. That’s the main reason some real estate agents try door knocking and then give up on it after the first attempt. If a rude person answers the door, realize that no matter what script you would have used would have changed the person’s attitude. Rude people are often rude for reasons unknown to you. Maybe, the person was having a bad day. You don’t know, which is why the worst thing you could do is to read too much into it. Instead of worrying about the person being rude, maintain your integrity and sincerity, apologize for bothering them and then leave your business card and let them know that you’re available if they have any questions. Doing this could lead to a much longer conversation. Door knocking is not the most popular real estate agent marketing strategy. In fact, most real estate agents don’t like to go door knocking. Although not popular, it can be extremely effective when agents are armed with powerful door knocking scripts. In the next couple of blogs, we’ll discuss door knocking dos and don’ts and dive deeper into the different types of door knocking scripts. Good luck generating leads!